Moscow (AFP) - Turkey's military said it did not know the warplane it shot down on the Syrian border was Russian, adding that it was ready for "all kinds of cooperation" after Moscow called the incident a "planned provocation". 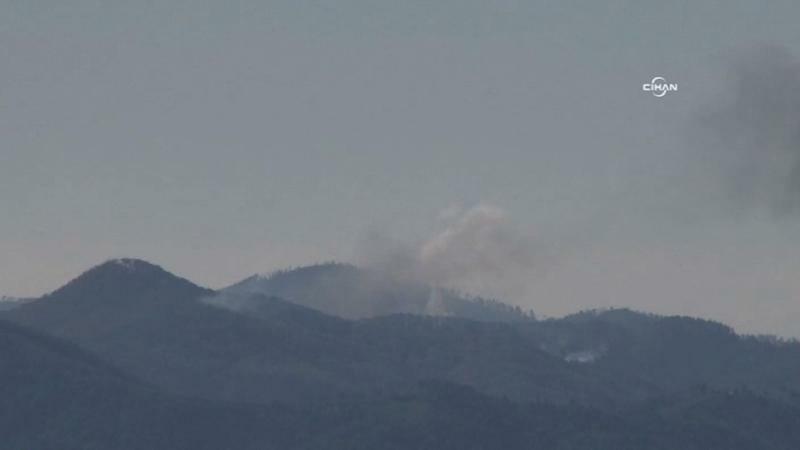 In a statement issued after tensions surged between Ankara and Moscow, the Turkish armed forces said they had made significant efforts to find and rescue the two pilots after shooting down the jet on Tuesday. The sole surviving pilot said he had received no warning and the aircraft did not violate Turkish air space, prompting the Turkish army to release audio recordings it said showed the Russian jet was repeatedly warned to change course. "This is Turkish Air Force speaking on guard. You are approaching Turkish airspace. Change your heading south immediately," a voice in one of the recordings can be heard saying in English, repeating the message several times. The downing has threatened ties between two major rival players in the Syrian war and raised fears it could fuel wider geopolitical conflict, although both Ankara and Moscow have stressed they want to avoid military escalation. Both are targeting Islamic State jihadists, but the countries are conflicted over the fate of Syrian President Bashar al-Assad, who Turkey wants to depose while Russia remains one of his last allies. The incident has also cast a shadow over talks between Putin and French President Francois Hollande, set for Thursday, as the two leaders struggle to build a broader coalition to fight IS militants. Hollande has been on a diplomatic marathon after jihadists killed 130 people in Paris this month in attacks claimed by the Islamic State group, but his efforts have been met with few concrete pledges so far. In an apparent effort to prevent further escalation over the downing of the Russian jet, Turkey's armed forces said they have invited Russian defence and military attaches to their headquarters to explain the circumstances. "The nationality of the plane was not known... and the rules of engagement were automatically used" after it did not respond to warnings, it said in a statement, adding that it was ready for "all kinds of cooperation" with Russia's armed forces. Russian Foreign Minister Sergei Lavrov told reporters on Wednesday he had "serious doubts about this being an unpremeditated act, it really looks like a planned provocation". But he added: "We do not plan to go to war with Turkey, our attitude toward the Turkish people has not changed." His comments came after a furious Russian President Vladimir Putin branded the downing of the jet a "stab in the back committed by accomplices of terrorists", and told Russians not to visit Turkey, a key tourist destination. 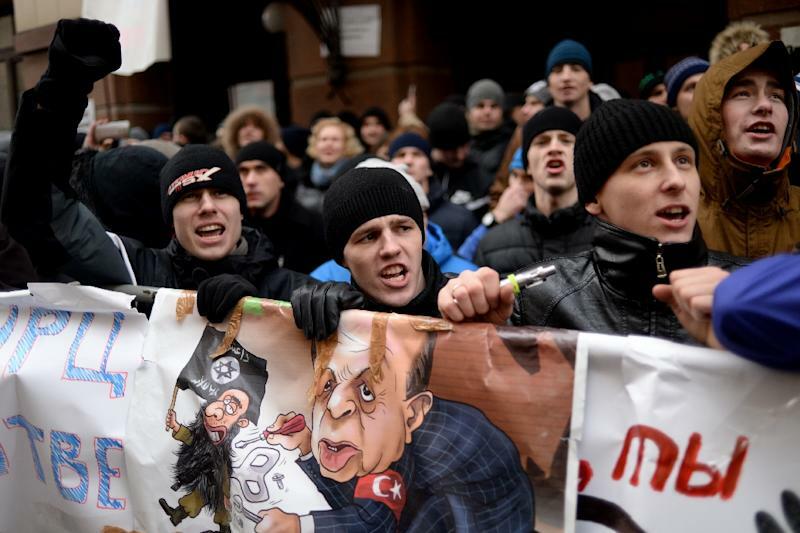 In Moscow, several hundred activists hurled stones and eggs at Turkey's embassy and brandished anti-Turkish placards in a brief protest over the jet downing. Russia's defence minister pledged to send its most hi-tech S-400 air defence system to its airbase near the Syrian Mediterranean port of Latakia. Turkish media, citing military sources, reported the Turkish air force had also stepped up border patrols with 18 F-16s. But Turkish President Recep Tayyip Erdogan sought to turn down the heat over the incident, insisting Ankara was simply defending its border. "We have no intention to escalate this incident. We are just defending our security and the rights of our brothers," Erdogan said. 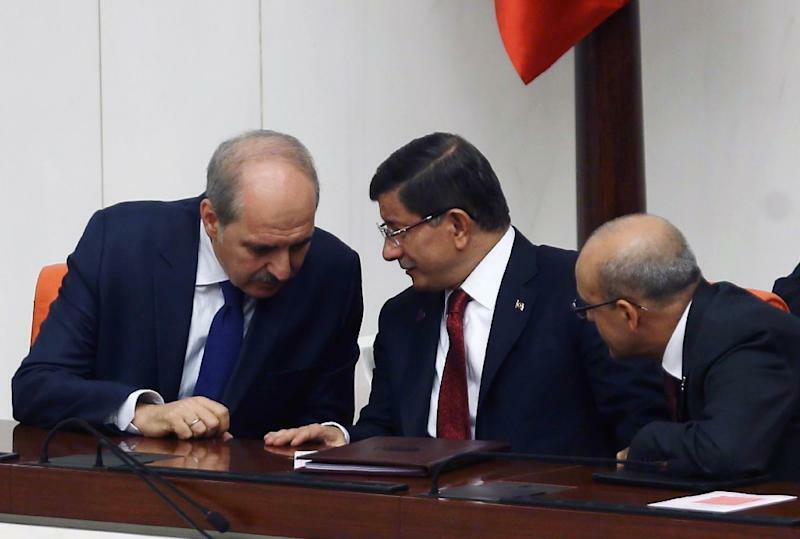 Turkey insists it gave the downed jet 10 warnings in the space of five minutes, an account backed up by its NATO ally the United States which spearheads a coalition against Islamic State jihadists in Syria and Iraq. Turkey's ambassador to the United Nations, Halit Cevik, said in a letter to the Security Council that two planes were involved in the incident. He said both had flown 1.36 miles (2.19 kilometres) into Turkish airspace for 17 seconds in a final violation at 0724 GMT and that one was shot down while the other left Turkish airspace. Moscow said Russian and Syrian special forces had rescued one of the two Russian pilots who ejected from the Su-24 bomber as it plunged to the earth in a fireball. The second airman and a soldier sent to rescue him died. In his first interview, rescued pilot Konstantin Murakhtin told Russian state media there had been no prior warning before his plane was shot down by Turkish F-16 fighters. "There was no warning, not by radio exchange nor visually. There was no contact at all," Murakhtin said at Moscow's base in Syria, with his back to the cameras. Putin said Murakhtin would be given a medal, along with those involved in the rescue operation and the second pilot who was shot dead by rebels after parachuting out. Russian warplanes carried out heavy raids in Syria's northern Latakia province on Wednesday, the same area where the jet was downed, according to the Syrian Observatory for Human Rights monitoring group.